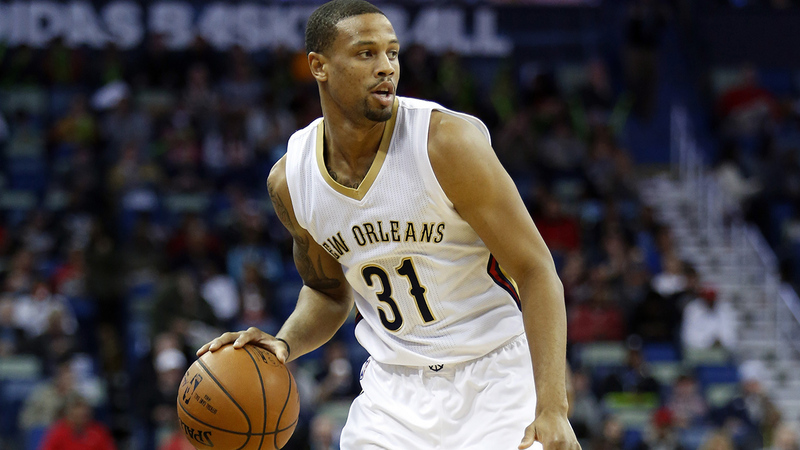 DALLAS, TX -- New Orleans Pelicans guard Bryce Dejean-Jones was fatally shot after breaking down the door to a Dallas apartment, authorities said Saturday. Officers who responded found Dejean-Jones collapsed in an outdoor passageway, and he died at a hospital. He was 23. Dejean-Jones was part of the 2014-15 Iowa State team that went 25-9, captured a Big 12 title and made a fourth consecutive trip to the NCAA Tournament. He was fourth on the team in scoring, averaging 10.5 points in 33 games. He shot a career-best 47.6 percent in his lone season as a Cyclone. He also played at Southern California and UNLV and was signed by the Pelicans last summer after not being selected in the 2015 draft. "Bryce's dedication and hard work on his journey to the NBA will forever serve as an inspiration to us all," said National Basketball Players Association executive director Michele Roberts, who had posted a link to the story of Dejean-Jones' death on Twitter and wrote that it was "The news I pray every day I never have to hear." "This is a very, very sad and tragic day for everyone that's a part of the Cyclone basketball family," Iowa State coach Steve Prohm said. Added Quincy Pondexter, one of Dejean-Jones' teammates with the Pelicans: "This Can't be real life... Rest easy lil bro."